Scouting is based on the core principle of Duty; a Duty to God and Country, a Duty to Others and a Duty to Self. Duty or Service to Others is central in our Promise “….to help other people at all times”. Sometimes service is a good turn for a neighbor, friend, teacher or family member sometimes it is to satisfy a rank requirement, but at least twice a year Service to Others should be more deliberate and have a larger impact. The Troop has established the months of April and October of each year as Troop Service Project months. Click here to find service projects that local community organizations have need for assistance. Please review these service opportunities and find those that fit your interest, skills and abilities. Some require contacting the organization or signing up in advance while others you can simply show up. If you plan to participate in one of these projects for service hours toward a rank requirement be sure to check with the Troop’s Service Projects Coordinator Mrs. LaBrot in advance to ensure that the project will meet your rank’s necessary requirements. Also, if you become aware of a service opportunity that you think others in the Troop would like to participate in, please let us know so it can be added to this page. 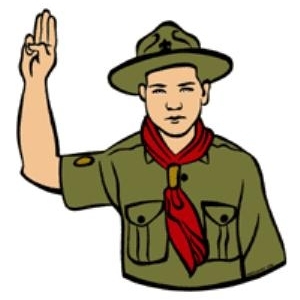 Finally, Scouts are eligible to earn Community Service Recognition Awards for their service hours. To eligible for consideration for the Award, upon completion of each service project please forward to Mrs. LaBrot the following information: your name, rank, brief description of the project, completion date and total service hours. Eagle projects are not eligible for this Award. Remember Class A uniforms should be worn when participating in any service project.